His eminence with Kubis discussed forming the future government and the largest bloc in charge of nominating the future prime minister. His eminence stressed on the necessity of forming a strong and serving government that is capable of saving Iraq from its current crisis. 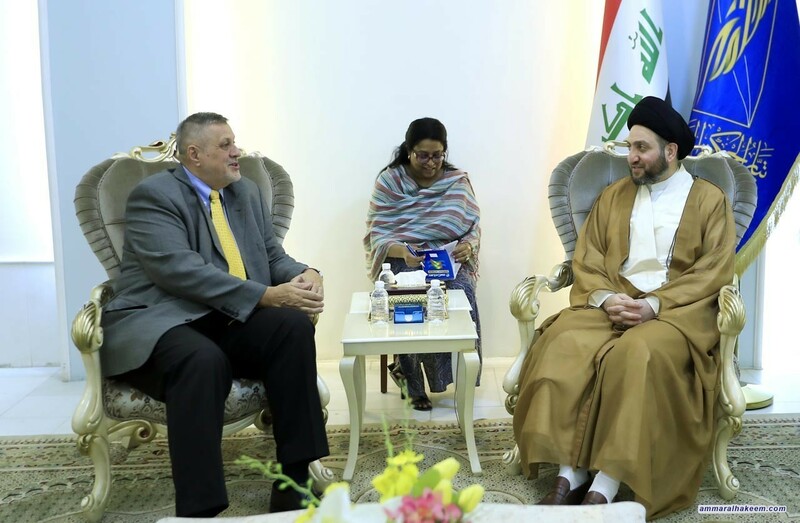 His eminence stressed that the future government should be built on the basis of the Iraqi interest and the services provision, called on the political blocs to give priority to the public interest over private interests. Regarding the crisis in Basra, his eminence reiterated his assertion on the right to demonstrate and the rightful demands, stressed the need to maintain peaceful demonstrations and to not damage public and private property and diplomatic missions.